Photo courtesy of Cascade Dafo. 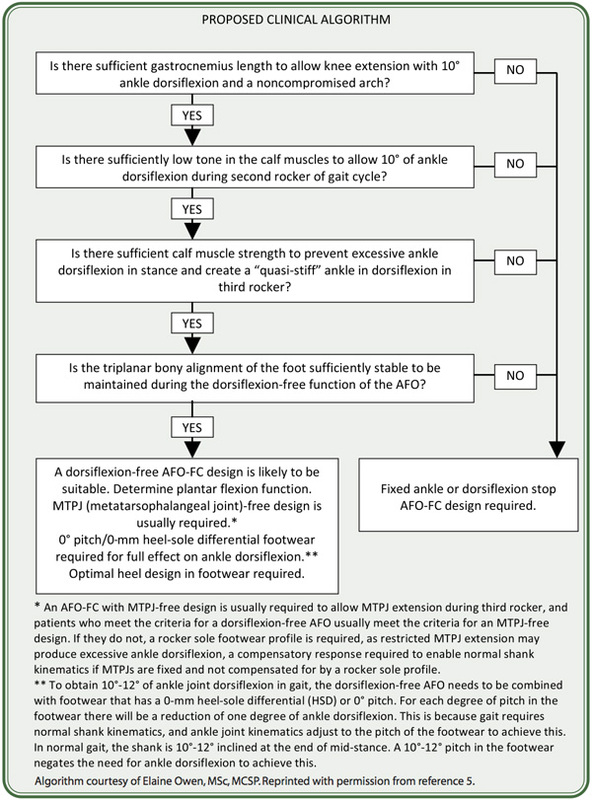 As researchers and clinicians have continued to refine the tuning of ankle foot orthoses (AFOs) and AFO-footwear combinations, recent findings suggest an occasional disconnect between biomechanical results and patient satisfaction. The research is still preliminary, and the extent to which its results are anomalous, or may instead affect future tuning protocols, remains to be seen. Nevertheless, experts have taken notice, and deeper inspection of the phenomenon is already leading to new revelations about the effect of tuning on the whole patient, particularly his or her comfort levels and happiness. Consider a small study presented at the annual meeting of the American Academy of Orthotists and Prosthetists (AAOP) earlier this year.1 Clinicians from the Rehabilitation Institute of Chicago (RIC) examined the effects of tuning AFOs on dynamic balance in six patients (one of whom subsequently dropped out) with hemiparesis following a stroke, all of whom had worn untuned AFOs since their rehabilitation began an average of six months earlier. Although the tuned AFOs were associated with stable balance scores and less knee hyperextension than the untuned devices, only one of the five patients who completed the study preferred the tuned AFO to the existing one. Lead author Katie Johnson, MS, CPO, described the process to LER. Although, as noted, the tuned AFOs offered some biomechanical improvements to gait—the patients even saw them on video—their confidence in their balance capabilities decreased. “I think there was such a big difference between the original and the tuned AFOs, we were pushing them outside of their comfort zone,” Johnson acknowledged. For Donald McGovern, CPO, who also practices at RIC (he had worked with Johnson previously but was not involved in this study), the research raised interesting questions about the best way to approach stroke rehab. Another recent study suggests the importance of the first intervention. This June, researchers in Scotland published research concluding that custom-tuned AFOs, which controlled shank and ankle in eight early stroke patients, contributed to significant improvements in walking speed, step length, and cadence, versus walking with shoes only.2 The study didn’t compare tuned AFOs to untuned ones, so it’s difficult to extrapolate conclusions in that regard, but it got the attention of other clinicians, including McGovern. “It indicates that, if we can get people up in the tuned AFO sooner, we could probably have much better results,” he said. Elaine Owen, MSc, MCSP, a pediatric physical therapist at the Child Development Center in Bangor, North Wales, UK, attended Johnson’s AAOP presentation. She was particularly struck by the fact that the one study participant who preferred the tuned AFO had complained of extreme pain related to knee hyperextension in the untuned model. This made perfect sense to her. Katie Johnson agreed, noting that patients needed to relearn how to walk, not only after the stroke, but also after an intervention with an untuned AFO. Owen stresses, however, that despite the essential attention to detail, the process of tuning an AFO is not a purely mechanical one. Tuning isn’t just about aiming for an SVA of 10°-12°, she emphasized, noting that for some patients the correct angle might turn out to be 9°-10°, whereas for others it could be 15°-16°. “You’re not trying to get a certain preconceived incline; you’re looking at all the kinetics and kinematics to get it right for that patient,” she said. Moreover, she emphasizes, in both her interviews and her writing, the importance of a gradual approach. 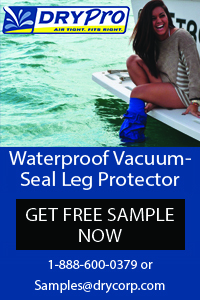 For example, in a case study published in Prosthetics and Orthotics International in 2010, she and her coauthors described the step-by-step tuning process for a 61-year-old woman with poststroke hemiplegia and pain associated with midstance knee hyperextension while using a custom polypropylene AFO that had not been tuned.6 The AFO-FC was incrementally modified over several weeks to optimize knee kinetics and kinematics and adjust ground reaction forces. For younger patients, Owen noted that clinicians must target not only functions but also structures. 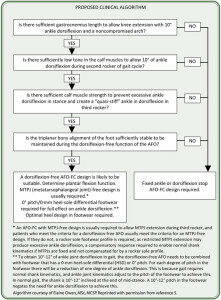 This, like so many aspects of AFO tuning, involves the necessary wisdom of compromise. As an example, Owen noted the problems associated with trying to get a child with Duchenne muscular dystrophy to walk more “normally,” despite the fact that this could compromise the child’s ability to get around due to the gait compensations they typically develop as a result of the disease. Kristie Bjornson, PT, PhD, a pediatric physical therapist at the Seattle Children’s Research Institute and an associate professor of pediatrics at the University of Washington in Seattle, praised Owens’s algorithm. Bjornson’s research focuses partly on how well clinical interventions translate into the daily activities of her patients, many of whom have cerebral palsy. She described the tuning process for one of her patients, a boy she began to treat when he was 4 years old, and who is now 6. Bryan Malas, CO, MHPE, agrees with this focus on the individual patient. In his own practice, Malas pays close attention to the sequence of events in an approach similar to that of Bjornson. Malas thinks, also, that clinicians too often overlook the vital role of the shoe in AFO tuning. More severe gait deviations complicate the process, for example, in the case of a patient who has a severely crouched gait pattern with knee flexion contractures. 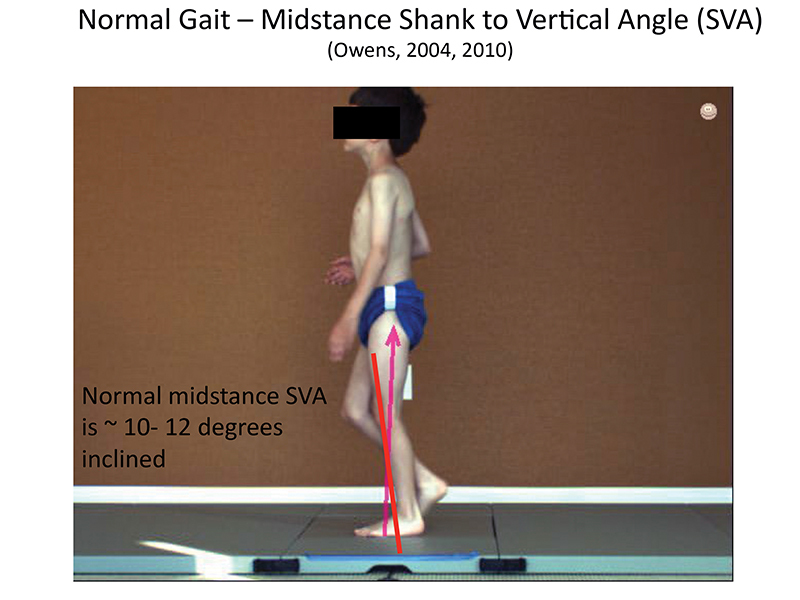 Like Elaine Owen, Malas draws a distinction between normal and optimal gait. Given how vital such clinicians consider AFO tuning, it would seem that the practice would be universal. Far from it, as it turns out. This may partly reflect the occasional disconnect already noted between biomechanical outcomes and patient satisfaction. But it may also be about ignorance. For example, a study published earlier this year reported that very few clinicians in the UK even responded to a questionnaire about tuning, and that, of those who did reply, barely half use the AFO-FC tuning as standard clinical practice.7 The most common factors cited as barriers to tuning were a lack of access to 3D gait analysis equipment (37%) and a lack of time (27%). 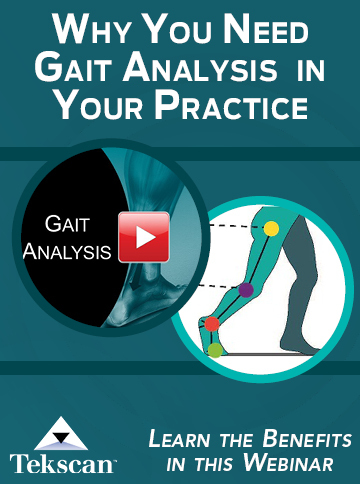 As it happens, 3D gait analysis isn’t necessary to tune an AFO. One of the study’s authors, Nachi Chockalingam, PhD, a professor of clinical biomechanics at Staffordshire University in Stoke-on-Trent, England, told LER that, even among those clinicians who claimed to tune AFOs, there were problems. “When we looked in detail and asked further questions, it was obvious that they didn’t understand some of the basic principles of tuning,” he said. Given such promising if small-scale studies, and the low levels of tuning clinicians report, Chockalingam and his colleagues hope to improve participation by developing additional protocols that involve minimal equipment. A team approach and understanding of tuning is essential for progress, according to Don McGovern. “If you get the physical therapist, the orthotist, the parents, and the child all working together, it can be quite successful,” McGovern said. Bryan Malas noted that success may sometimes be demonstrated in subtle but unmistakable ways. Once in the clinic, he put a patient into an untuned AFO; the boy, who had been reading while standing, immediately stopped reading his book because he was unstable and had to pay attention to his balance. After the AFO was tuned, he started reading again. 1. Johnson K, Boggs K, Lipschutz R, Mathur G. Effect of a tuned AFO on balance in the chronic stroke population. Presented at American Academy of Orthotists and Prosthetists Annual Meeting & Scientific Symposium, Chicago, February 2014. 3. Fatone S, Stine R, McGovern D, Pavone L. Improving lower extremity orthotic management of children with cerebral palsy: AFO-FC case studies. 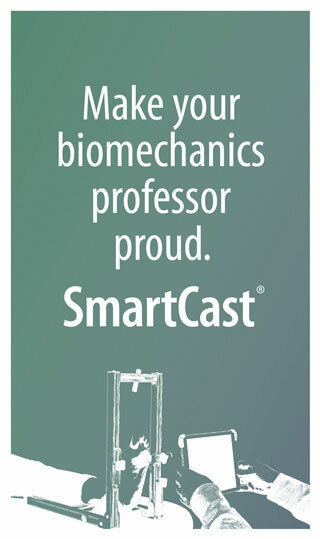 Presented at American Academy of Orthotists and Prosthetists Annual Meeting & Scientific Symposium, Chicago, February 2014. 4. Owen E. Importance of being earnest about shank and thigh kinematics especially when using ankle-foot orthoses. Prosthet Orthot Int 2010;34(3):254-269. 5. 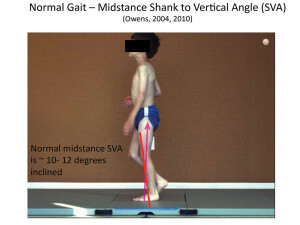 Owen E. From stable standing to rock and roll walking (part 1): the importance of alignment, proportion and profiles. Assoc Paediatr Chartered Physiother J 2014;5(1):7-18. 6. Jagadamma KC, Owen E, Coutts FJ, et al. The effects of tuning an ankle foot orthosis footwear combination on kinematics and kinetics of the knee joint of an adult with hemiplegia. Prosthet Orthot Int 2010;34(3):270-276. 8. Eddison N, Chockalingam N. The effect of tuning ankle foot orthoses-footwear combination on the gait parameters of children with cerebral palsy. Prosthet Orthot Int 2013;37(2):95-107. 9. Jagadamma KC, Coutts FJ, Mercer TH, et al. Effects of tuning of ankle foot orthoses-footwear combination using wedges on stance phase knee hyperextension in children with cerebral palsy – preliminary results. Disabil Rehabil Assist Technol 2009;4(6):406-413. This is a fascinating article. I’m a patient who’s tried about a hundred AFOs and never could figure out why some are good and some give me immense pain. The big problem as a patient is the lack of communication between orthotist and physical therapist. Too bad the neurologist, orthotist and physical therapist don’t work under the same roof. Thanks for this! I’ve been reading LER Magazine a year now and feel I’m better able to get my pain resolved.